Exponential conducted an extensive analysis through our data pools and discovered four key topics themes ahead of Ramadan 2017. In addition, mobile and video are particularly impactful during this period of increased travel, family interaction and content sharing. As per the article distributed by The Drum, brands can seize this opportunity to understand their consumers better and the categories of interest, to roll out more effective marketing tactics and campaigns. 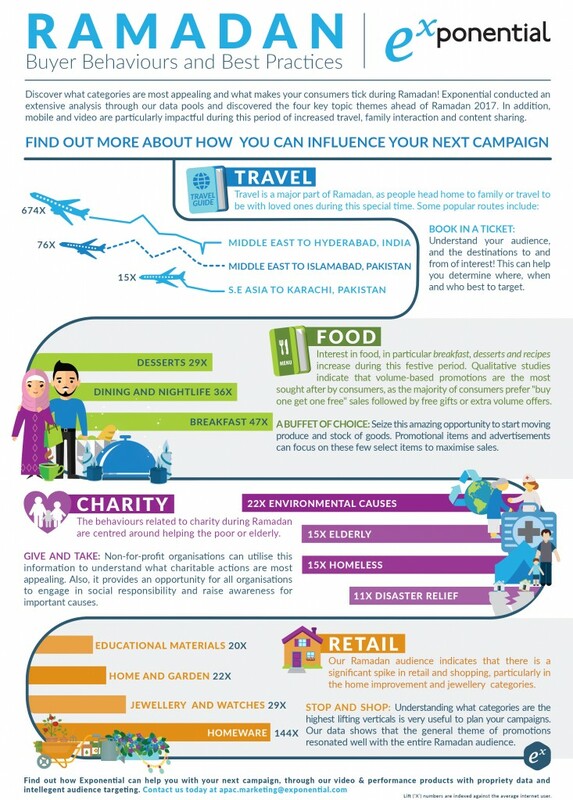 Take a look at our Ramadan infographic below or click to download.